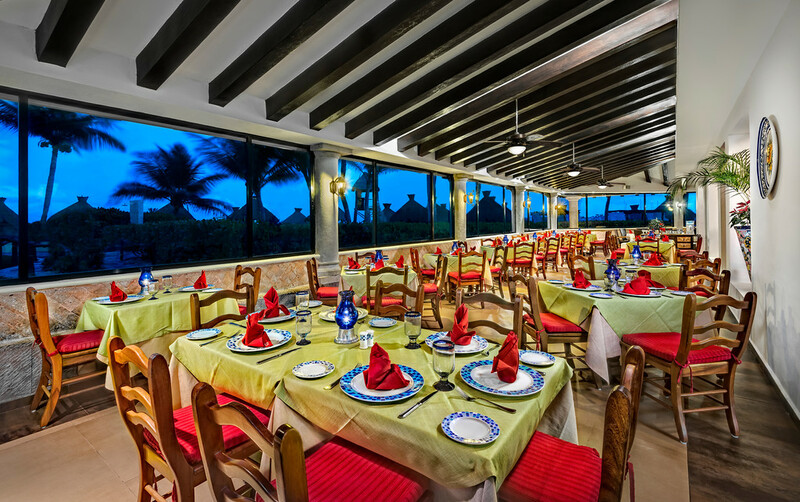 Enjoy fresh Mexican specialties poolside, served up with your choice of over 100 tequilas. It’s the ultimate in casual dining at a poolside bar with an adjacent swim-up bar that serves premium brand beverages. The was good but super salty! Your staff have stopped making the special coffee after dinner. It was the best part of the dining experience. Chef needs to learn how to cook molcajete ...  there were no onions ... cheese was hard not melted ....  and there was NO molcajete sauce. It’s not molcajete.....  it’s pan fried meat and cactus in a warm stone bowl. Don’t call it molcajete. We are here twice this stay. Both times the food was mediocre. The staff was very attentive. The drinks were horrendous. I could not finish a single drink I ordered (pina rica, Mexican iceberg, margarita, strawberry daiquiri). They use inferior alcohol and artificial sweeteners. Just nasty. This used to be one of my favorite restaurants here. I miss the special margaritas. The server looked at me like I was crazy when I ordered a tamarindo margarita. Great food. Main course portions a bit too big. Hate to waste food. Had chili reyanos (sp?). Delicious but huge. Best service in the resort. The service here is always excellent. On out most recent visit,  of our meals was adequate. . The other was very good. We miss the duck that used to be on the menu, but we always enjoy the guacamole and sauces served as an appetizer. One complaint it’s that the music is often too loud. We asked them to turn it down this time and they accommodated us immediately. 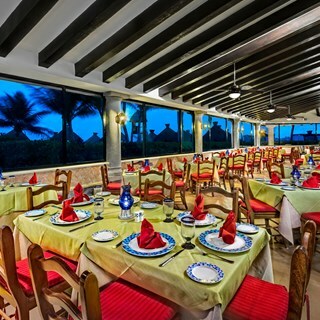 Great transformation between breakfast buffet and dinner a la carte dining. Good Mexican decor but the restaurant was loud due to large groups and families with kids. Roast chicken and grouper were the most delicious dinners in our group, as were the lime soup and tostada appetizers. Delicious. Our server Cesar was excellent! Rubin gives excellent service. Please tell him again for us. Another good meal served by a very friendly and attentive server. Although this is one of the older restaurants on the property and not as shiny and modern, it is a consistently good experience. Don't expect typical "Mexican food", the options are good but just not what Americans might expect. Very enjoyable and the extraordinary flaming coffee the waiter did at our table was outstanding. Thanks for a very nice evening. Oh, and the Tamarind glazed roasted chicken: best meal so far at El Sid. Atmósfera muy amena, comida sabrosa! Pleasant atmosphere and tasty food!!! The stuffed pepper is the best and the chicken with mole sauce is fantastic. They make the really good Mexican and Spanish coffee which ends the meal perfectly. This is my favorite restaurant on the El Cid property.